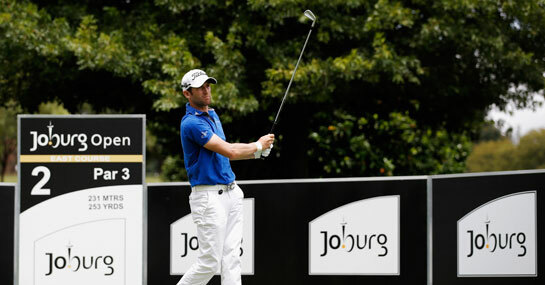 There are a number of strong trends that could perhaps pinpoint players for punters to follow in the Africa Open this week, but on further investigation it may pay to avoid the obvious as the Race to Dubai continues at East London Golf Club. In attempting to shrink the shortlist, the apparent first move for bettors is to only concentrate on South African golfers, as none of the six former champions have been of another nationality. It would also appear to be profitable to focus solely towards the top of the market, as since this event was co-sanctioned with the European Tour three of the four winners started at 9/1 or shorter. However, with major winners Charl Schwartzel and Louis Oosthuizen accounting for three of those victories, different, more relevant statistics – given neither of the aforementioned pair are teeing it up this week – could steer us elsewhere in our search for the winner. Active good form coupled with straight driving is a must this week, while, counter intuitively, given this old fashioned venue is one of the shortest players will encounter all year, the ability to score heavily on the par fives has been the key to success in recent renewals – all of the last four winners have ranked in the top six in par five performance. At 10/1, Thomas Aiken is the favourite this week, but after leading going into the last round in Johannesburg on Sunday and then slumping to fifth after a last day 74, I just cannot trust him again, especially as he did almost exactly the same in this event in 2010. Gregory Bourdy’s 16s shows as second favourite and is a much better prospect. The Frenchman was second here last year having not shown the same form that we’ve seen recently. He’s much more consistent now, ranks 14th in three month par five scoring (the best in the field this week) and is one of the most accurate drivers on tour. Matthew Baldwin, 25/1, once went round this Eastern Cape layout in 64 blows (helping him to 10th place in in 2012) and has scored freely on the longer holes this year, enabling him to grab each-way places in both of his starts in South Africa this term. Lastly, the straight hitting Jaco Van Zyl, also at 16/1, has course form figures reading 2-4-4 , which is the best by far in the field, and is the pick of the home players. My three off the tee – Bourdy, Baldwin and Van Zyl.